Mette represents clients facing complex, financially distressed situations and bankruptcy issues, and is a certified mediator for the U.S. Bankruptcy Court for the District of Delaware. 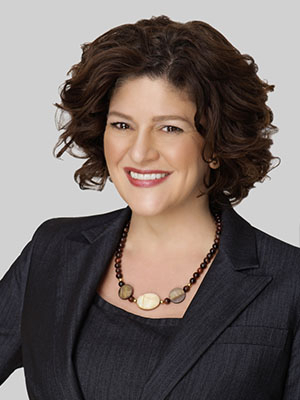 Named one of the leading bankruptcy and restructuring attorneys in California and Delaware by Chambers USA, Mette has a reputation for providing unwavering and dogged representation in sophisticated workouts, restructurings, distressed M&A transactions and bankruptcy matters to help ensure her clients attain the best possible outcome. A “tireless and creative” advocate. Utilizing her razor-sharp business acumen and a practical approach to her clients’ financial challenges, Mette represents debtors, creditors, investors, creditor committees and other parties in all areas of reorganization, distressed sales and acquisitions, liquidations and bankruptcy-related litigation. With a high degree of emotional intelligence, Mette also possesses a keen ability to adeptly and effectively manage the most challenging people and situations that often arise in bankruptcy. With this trait, she has gained a reputation for successfully and smoothly handling confrontational negotiations in her client representations. Mette completed the American Bankruptcy Institute/St. John’s University School of Law Bankruptcy Mediation Training Program in 2018. Mette has practiced at various pre-eminent bankruptcy boutiques and national law firms before joining Fox Rothschild. Before practicing law, Mette was a Bank Liquidation Specialist with the Federal Deposit Insurance Corporation. Mette has been deeply involved with the national Turnaround Management Association, serving previously on its Executive Committee and as Vice President of Conferences as well as Vice President of Communications and a member of its Board of Directors. Dedicated to community service, Mette has been actively involved in numerous community efforts. She assisted the Jubilee Campaign in raising funds through its Education After Escape campaign to assist the Nigerian schoolgirls who escaped from their Boko Haram kidnappers in seeking refuge in the United States, where they have obtained scholarships to continue their education in safety. Additionally, she previously served as a member of the resource board of Sojourn Shelter, which provides battered women and children a safe space to regroup, rebuild and re-establish their self-esteem and lives. In 2008, she helped raise more than $25,000 for the Avon Walk for Breast Cancer. And in 2003, Mette's family was recognized by the City of Los Angeles as the North Hollywood YMCA's "Family of the Year" in recognition of the assistance they provided to the financially troubled North Hollywood facility and their successful efforts to prevent the closure of the highly respected YMCA preschool. The Bottom Line – A Business Bankruptcy Blog. In Plain English. Bottom line threats and opportunities come in many shapes and sizes. This blog cuts through the legalese to provide you with information about important business bankruptcy issues and developments that can help protect your bottom line.